A sophisticated digital attack involving smart mobile phones has been used to steal 36 million euros or 47 million dollars from corporate and private banking customers across Europe. The attack appears to have emanated from cybercrime servers in the Ukraine. 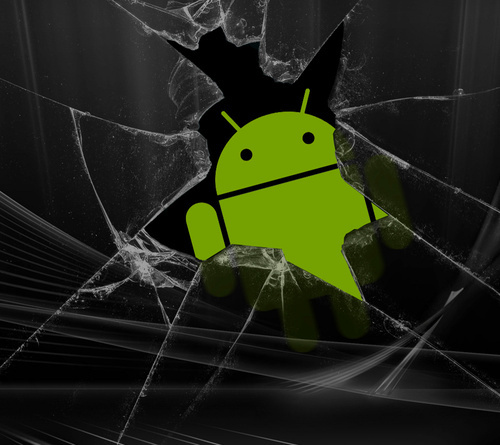 Android and Blackberry mobile devices have been specifically targeted, showing that attacks against Android devices are now a growing trend. A new customised version of the Trojan spyware application "Zeus" called "ZITMO" or "Zeus-In-The-MObile" has been deployed, which security companies have called Eurograbber. This enables a two-stage Trojan virus attack to progress that spreads from a victim’s Personal Computer or PC to their mobile telephone. Eurograbber marks the first such case of PC-to-mobile Trojan malware targeted specifically at online banking. More than 30,000 online banking customers in Germany, Italy, Spain and the Netherlands have been affected by this attack. The Eurograbber attack -- the second significant online banking breach -- follows a similar event earlier this year, known as Operation High Roller. High Roller utilised the same "ZITMO" technology to engineer 60 million dollars in fraudulent money transfers at 60 financial institutions. Like High Roller, Eurograbber also started in Italy before spreading to other countries in mainland Europe. The criminal syndicate behind Eurograbber appears to have configured the Trojan malware to target customers of 16 specific banks in Italy, as well as seven in Spain, six in Germany and three in the Netherlands. Individual transfer amounts made by Eurograbber malware ranged from 500 euros (656 dollars) to 250,000 euros (328,000 dollars) per victim. Targeted European banks and law enforcement agencies in the affected countries have been notified. The sophisticated digital attack is described in a new report called "A Case Study of Eurograbber: How €36 million was stolen via malware” by Check Point and Versafe. The report offers a step-by-step picture of how individual computers are infected and how the infected machines are then used to pull off the heist. Eurograbber was launched against banking customers, using a sophisticated combination of malware directed at computers and mobile devices. The malware, in conjunction with the attackers’ command and control server, first infected the victims’ computers, and then, infected their mobile devices in order to intercept SMS [text] messages to bypass the banks’ two-factor authentication process. With the stolen information and the Transaction Authentication Number (TAN), the attackers then performed automatic transfers of funds, ranging between 500 euros and 250,000 euros, from the victims’ accounts to mule accounts across Europe. To date, this exploit has only been detected in euro zone countries, but a variation of this attack could potentially affect banks in countries outside of the European Union as well. The Eurograbber "ZITMO" elaborate attack is designed to defeat the two-factor authentication systems deployed by many banks. To do that, a companion, Smartphone version of the malware intercepts the one-time Transaction Authentication Number (TAN) that banks send to a customer's mobile device, via SMS or text, which the customer must then enter into a banking website prompt to authorise a money transfer. Verification codes appear to have been recorded and used to create further banking sessions in real time. Two-stage authentication, whereby a customer enters a second code generated by the bank in addition to a regular password or pin number, is common in online banking and online eCommerce. It is also used by companies such as PayPal and Google to make cloud computing shopping and services more secure. More than 30 per cent of the EU and US banks appear to deploy similar security systems for online banking and eCommerce. Attackers consistently look to exploit known security flaws so a critical preventative measure is to regularly update all computers that are used to conduct online banking transactions. Doing so ensures the most current vendor patches and security signatures are applied thus providing the most current security available. Below are the primary elements that should be regularly updated. One of the most common infection methods is “drive-by-downloads” where malicious code is silently downloaded onto a web surfer’s computer while they are surfing the internet. It is very likely that some of the Eurograbber victims were initially infected by drive-by-downloads. Maintaining current software and security products on your computer will provide the most protection against current infection techniques like drive-by-downloads. Additionally, conducting regular antivirus scans can inform users of existing computer infections so they can take remediation actions to remove the malware. Social engineering is an essential part of the attack. The email directing the customer to "click on the link to improve online banking security" is the key that opens Pandora's Box and begins the attack. Known as "phishing" emails, if the banking customer recognizes the email as unsolicited and does not click on the link, their desktop will not be infected and the Eurograbber attack will not occur. It is very important to never respond to unsolicited emails from your financial institutions. If the message is concerning to you, then contact the institution directly. Use a different source rather than using a phone number provided in the email. Inform them of the email and follow their guidance. As a user, following best practices -- maintaining OS, application and security currency on your computer and exercising caution with unsolicited emails and during internet surfing -- can provide some of the very best protection against becoming infected. Eurograbber is an excellent example of a successful targeted, sophisticated and stealthy attack. The threat from custom designed, targeted attacks like Eurograbber is real and is not going away. The threat community is alive and motivated to create ever more sophisticated attacks because the spoils are rich and many. Enterprises as well as individuals need to exercise due care and ensure they conduct important online business, especially financial transactions in the most secure environments possible. Further, individual users must be steadfast in ensuring all of their desktops, laptops and tablets have all possible security layers enabled and that they are kept current with software and security updates to ensure the best protection possible. Online banking customers should make efforts to ensure their computer is current and to also conduct their online banking transactions from the most secure environment possible. A computer that is current in OS and application updates and security protections combined with an office network that is protected with multiple layers of security will provide the most protection against attacks like Eurograbber.